US lawmakers, finally, after unexpected online protest by online companies have finally decided to postpone the scheduled January 24 bill in the US Congress. Lamar Smith, the Republican chairman of the House of Representatives Judiciary Committee, followed suit, said that they can move further on after a wider and contentious agreement on the bill. 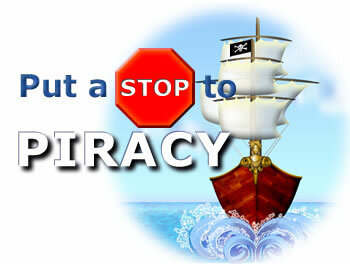 The bills learnt to be as PIPA (PROTECT IP Act) in the Senate and SOPA (Stop Online Piracy Act) in the House, are aimed at curbing access to overseas websites that deals in pirated content and counterfeit products, like as movies and music. The legislation has been on the higher agenda for the entertainment companies, publishers, pharmaceutical companies and other industry groups who alleged online piracy causing them loss of billions of dollars in a year. However, technology companies are opposing it as an attack on internet freedom as it would increase activities of frivolous lawsuits against them. The public sentiment also diverted towards online companies when big internet companies lobbied against the bill. On Wednesday, protests turned off the entire internet when Wikipedia and other popular websites went into dark for 24 hours. Google, Facebook, Twitter and others protested but also remained online for a while. The protest has the immense support as many sponsors of the legislation comprising senators Roy Blunt, Chuck Grassley, Orrin Hatch, John Boozman and Marco Rubio, had to withdraw the support. The indefinite with drawl received the appraisal from the internet community and anger from Hollywood.